Both will take you to this screen. 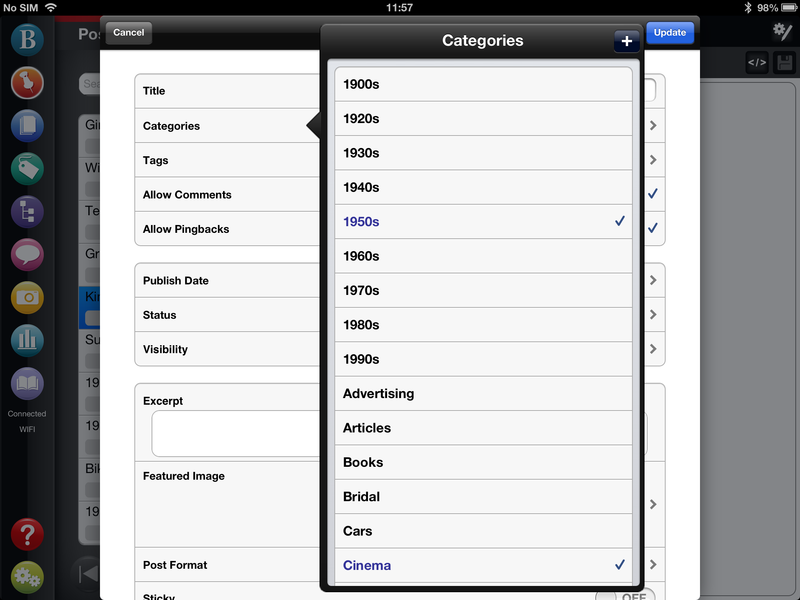 You can see the categories already selected for this post (in this case 1950s, Vintage and Cinema). 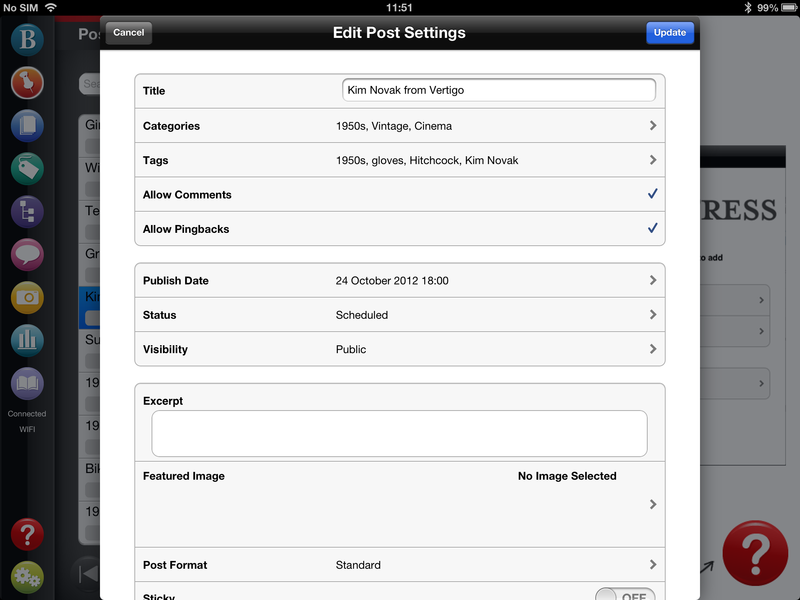 To add more or edit these tap to view the Category menu. 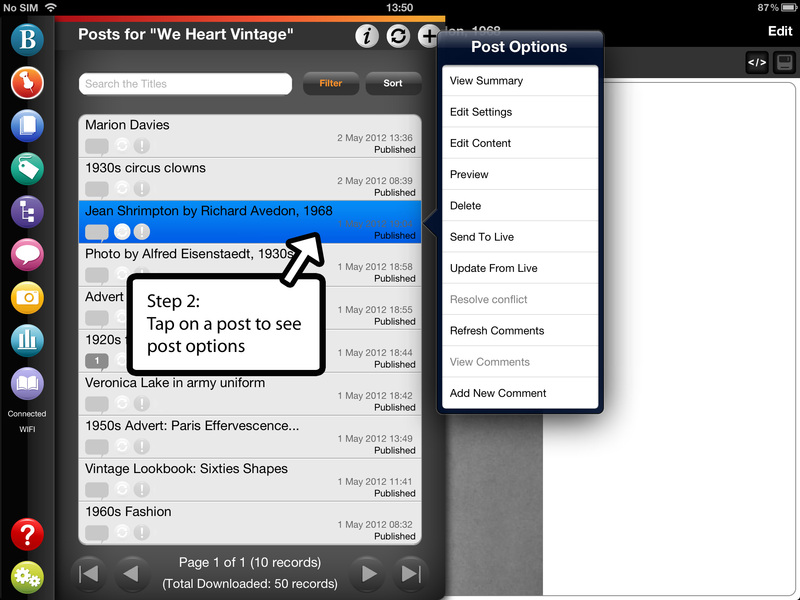 Then just tap each category you want to attach to the post or click the + button to add a new category. 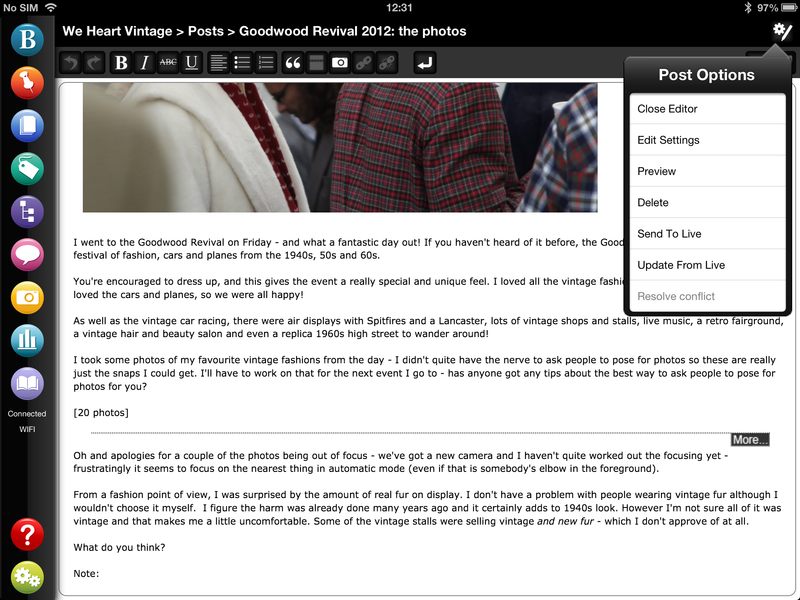 This entry was posted in Tutorials and tagged app, blogging, categories, iPad, tags, wordpress.